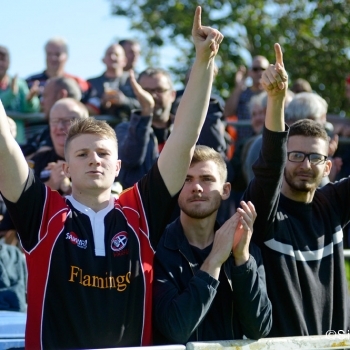 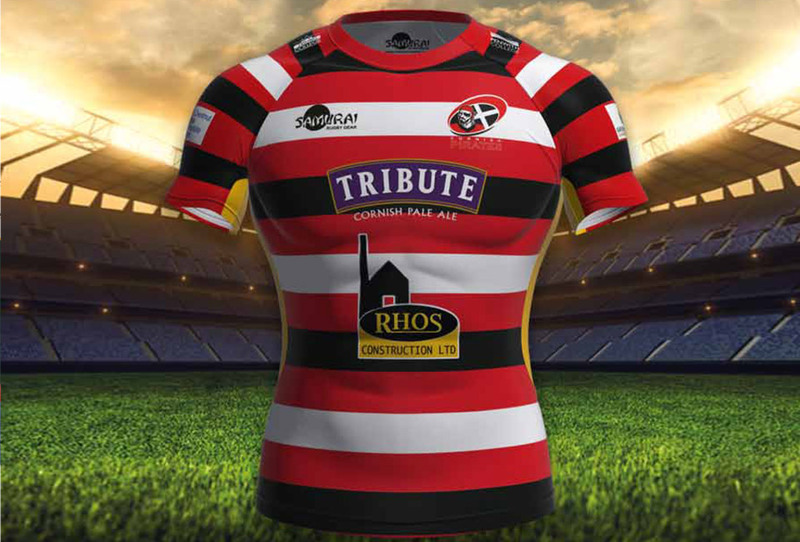 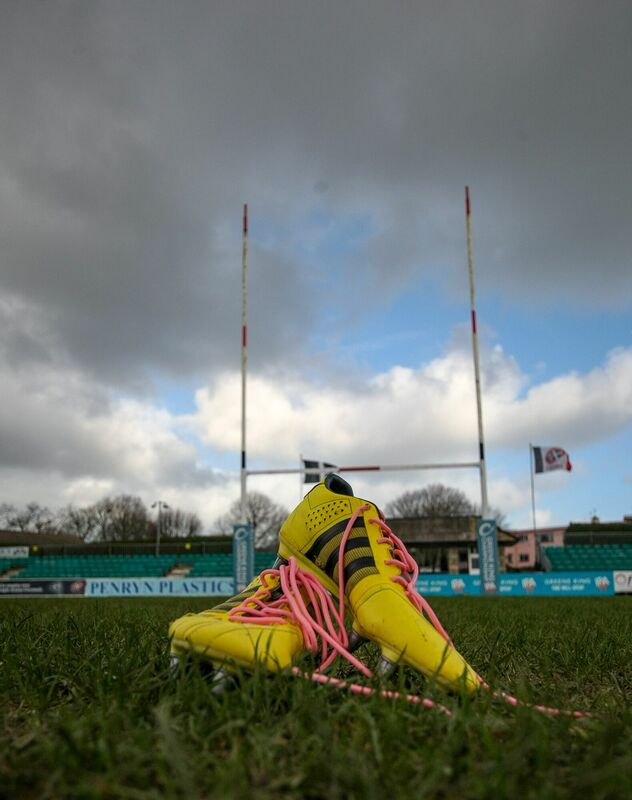 In support of Redruth Rugby Club’s General Manager Treve Dunstan, the Cornish Pirates wore pink laces in their boots when they played Hartpury RFC at the Mennaye Field on Sunday. 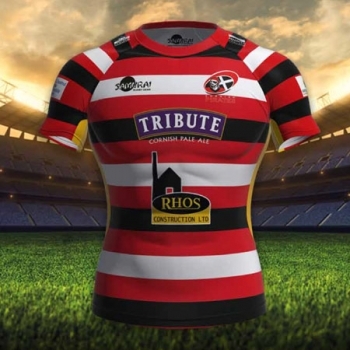 This follows a Pink Day event held at Redruth just before Christmas when Treve was accompanied by his special guest Chantelle Ward, the pair having both bravely battled with cancer. 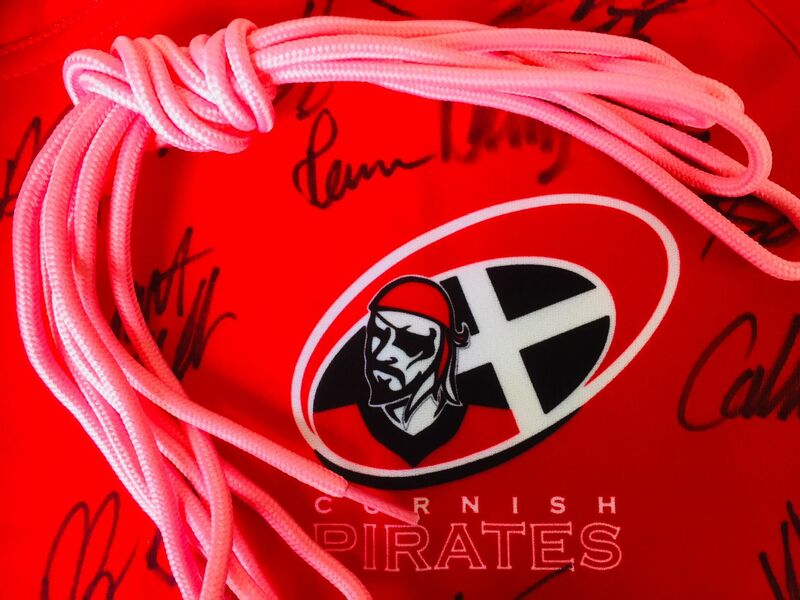 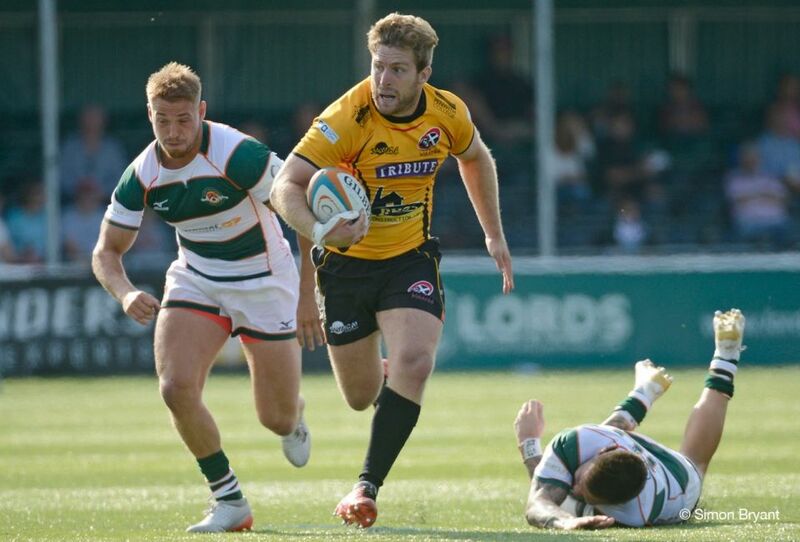 Their aim then was to not just raise monies to help towards cancer charities, but to at the same time heighten general awareness, as the Cornish Pirates also did by wearing pink laces on Sunday.